Sport events will be organised in every country involving parents and communities. Micro-initiatives will be supported for the rehabilitation of sport facilities in schools or local associations, as well as micro-grants for recreational equipment in order to improve the environment of the most disadvantaged communities. "":http://www.tdh-childprotection.org/components/com_gallery/browsegallery.php?id=35 Child Protection: Our Goal! The "Movement, Games and Sport" approach is a tool for improving the well-being of children and preventing child exploitation. Projects supporting the most vulnerable children often turn to activities such as games, sport or art. On an individual level these activities enable the children to reinforce their own personal and social capacities and on a more global level, they support reintegration of the children into their family, local community and/or school system. Games and sport are often the prefered approach since it allows direct and easy access to the children and is culturally accepted throughout the world. 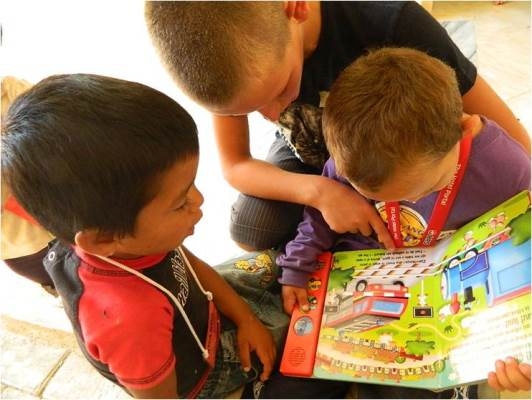 The prevention activities in Central and South Eastern Europe are based on recreational activities, implemented by Terre des hommes or by local partners (community-based organisations, schools, etc), during the whole school year and summer camps. Games and sport can also be used as a psychosocial tool to improve children's personal and social competences, thus positively influencing their general well-being. Depending on the way it is used, it can help to develop and promote skills and values like self-esteem, trust, tolerance, respect, cooperation, honesty, creativity, responsibility, discipline, etc. However, despite the great motivation of the animators involved, competencies are often lacking in the psychosocial field, as well as to organise, implement and follow-up the recreational activities, thus undermining their potential impact on the psychosocial well-being of the children. In 2005, Terre des hommes launched a project called "Movement, Games and Sports (MGS)":http://www.sportanddev.org/learnmore/sport_and_disaster_response/index.cfm in three different locations (Iran, Colombia and Sri Lanka). Its aim was to develop a cycle of training to improve personal, social and technical skills of animators and their methodology, an individual coaching time and a Training of Trainers (ToT) replication process. The results were quite impressive thanks to the experiential learning approach. At the end of the project, the participants had gained in self-confidence, leadership and knowledge about methodology of physical activities, being thus able to organise psychosocial activities with children, as well as replicate parts of the training to their peers. General aim of MOVE project: To improve the wellbeing of children and fight child exploitation and trafficking by reinforcing psychosocial and methodological competencies of the animators working with them. See also the manual ""Laugh, Run and Move to Develop Together":http://www.tdh-childprotection.org/component/option,com_doclib/task,showdoc/docid,493"